DVR & NY Alerts for Adam Lambert! You are here: Home / Adam in the Media / DVR & NY Alerts for Adam Lambert! This is going to be an extremely busy and satisfying week for Glamberts worldwide. 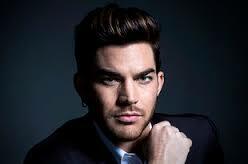 Adam’s schedule is loaded with opportunities for the fans, both in New York and for everyone at home in front of their radios and television sets. Here how the week looks. If you know of more events, please include them in the Comment section. Tuesday, June 16 The Original High RELEASE DATE – it’s finally here!! Tuesday, June 16 iHeartRadio Theater – NY Oh those lucky fans! Thursday, June 18, 12:30 PM The Original High CD signing at Barnes & Noble – The Citigroup Center, 160 E 54th Street, New York, NY 10022 Special Instructions: Only The Original High CD will be signed. Original High must be purchased at the Citigroup Center store on June 18 to receive a wristband for access to the event space. There is a limit of two CDs per customer. Because of time restraints there will be no personalization, photos or memorabilia please. Savor this week – it’s been a long time in coming! Thanks so much for the list, it is very helpful. Very excited to see adam do some TV shows, & very excited for the new music. Here’s hoping there will be a tour!!!!! Lucky NY. So happy for Adam. He deserves much more radio air time. Love his music, and him. Thanks for all the info. Love your articles. I am excited….my DVR is set. I am anxious about this week. I am hoping for good things this time around. I just watched ADAM on The Late Night Show. He was wonderful and beautiful. I just wish Jimmy Fallon had talked to him on the couch. That would have been even better. I bought my CD today! Yay! I’ve been catching up with the USA shows via You Tube as we don’t always get them in Australia …..I’m waiting for my TOH bundle to arrive in he mail, can’t wait to wear my hat down to the local shopping centre. Of course all the Oz Glamberts are hoping he will tour.